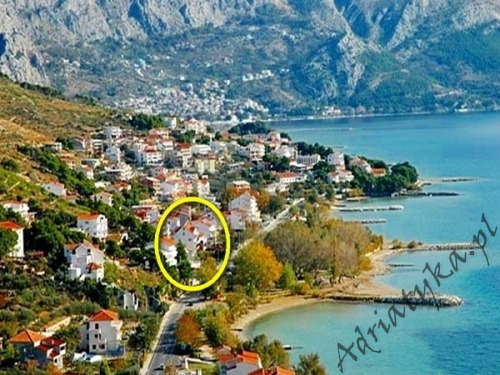 Offered rooms by Adriatyka.pl in Croatia are equipped as stated in the description attached to each accommodation and they are checked by our staff. In our database you will find rooms with swimming pool, accommodation at the seaside but also cheap accommodation located in quiet intimate places, away from the noise and bustle of the big Croatian resorts. Private rooms in Croatia are primarily intended for couples or individuals. Also the rooms fulfil the role of missing places where in the same building there is no space available. Most of the rooms in our database have its own private bathroom or access to it. Depending on the accommodation rooms also have access to the kitchen. This form of accommodation guarantees peace and independence. Booking a room instead of the whole apartment does not mean that you lose out on comfort. Rooms in Croatia are usually well equipped, have internet access, are air-conditioned, have a view of the sea, located near the sea and the beach. All of the rooms’ offers that are located in our accommodation database have their own individual, created by us a description that includes the necessary information on the selected accommodation, and have attached pictures that show the actual appearance of the premises and their equipment. A fair approach to making a booking with us resolves in receiving what is written in the description and seen on the pictures. We invite you to familiarize yourself with our offer below that contains rooms in Croatia.